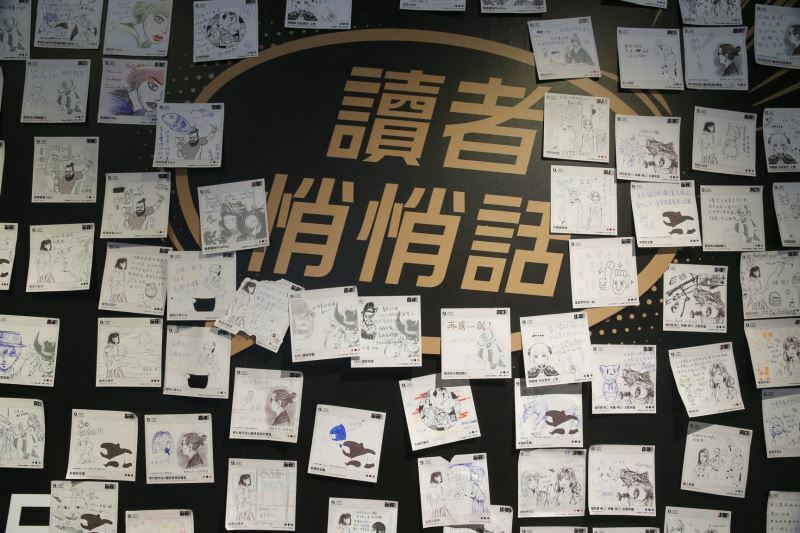 The Taiwan Comic Base is a four-story building dedicated to nurturing original Taiwanese comics. The convenience of its location behind the Taipei Main Station makes the base well-suited for hosting workshops, marketing events, and drawing studios. Before the base becomes fully operational, exhibitions like "Rock Comic!" will be held to promote the building. "Rock Comic! 2018 Golden Comic Awards" will showcase the 23 nominees of the nation's highest artistic honor for comics. 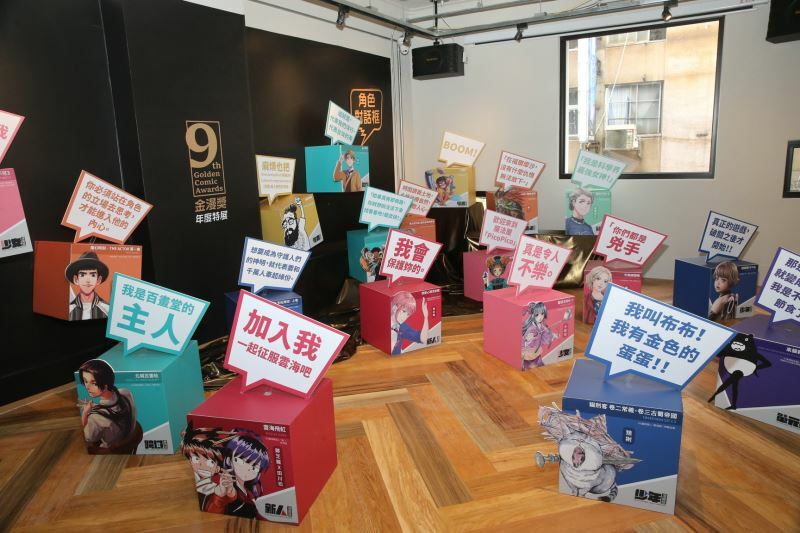 The first floor has been transformed into a giant comic maze, the second floor will introduce Taiwan's Golden Comic Awards, and the third floor will display the winning works. The exhibition is highly interactive, from video to movable frames that can be shifted to reveal iconic dialogue from the winning comics. 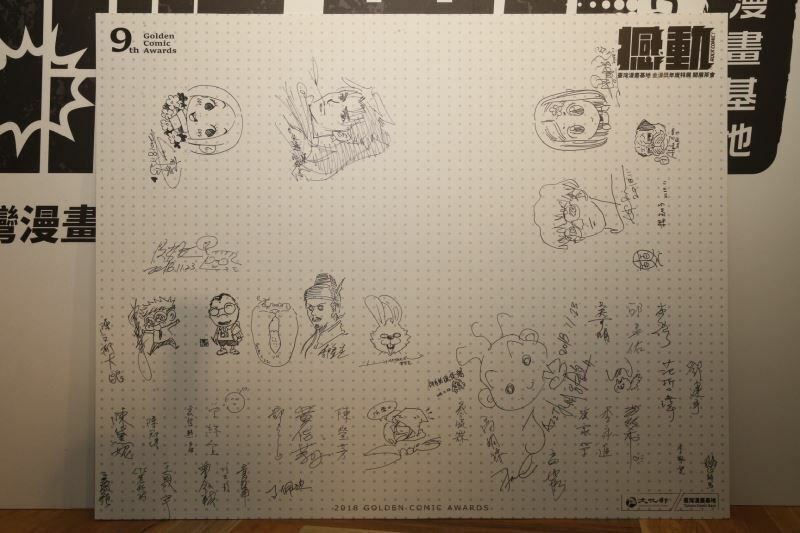 Visitors of the exhibition will have the chance to fill post-it notes with personal messages for their favorite artists. 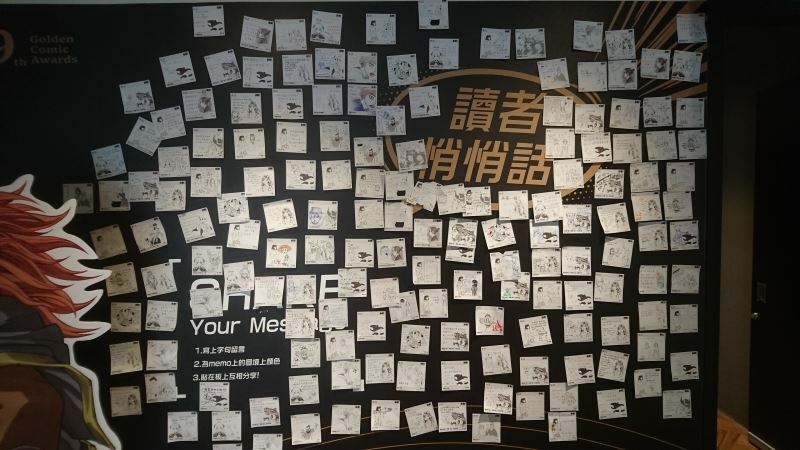 A "Memo Wall" will offer stacks of notes in the shape of different characters from the nominated works. 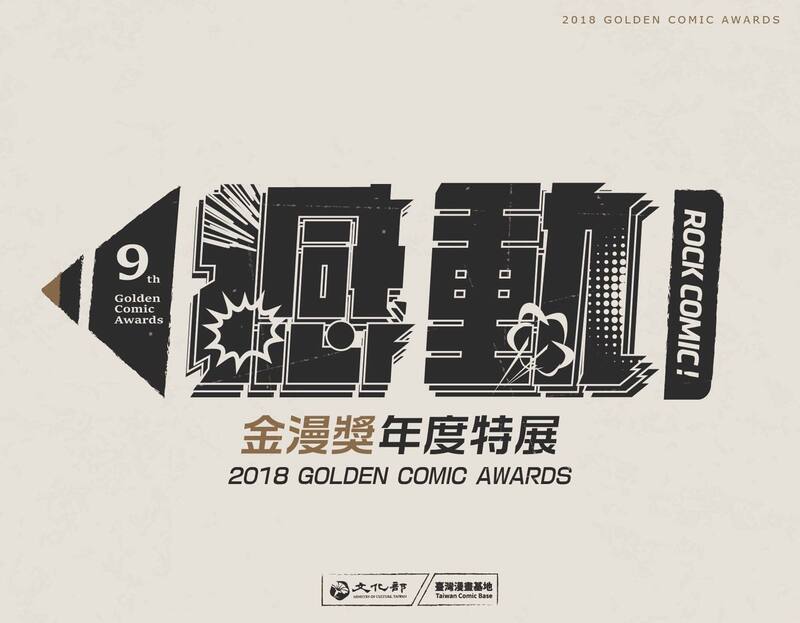 Established in 2010, the Golden Comic Awards recognizes new artists, cross-field applications of comics, editing, single-panel comics, special contribution, and comics for children, youths, male readers, and female readers. The 10 awards saw 23 nominations this year. 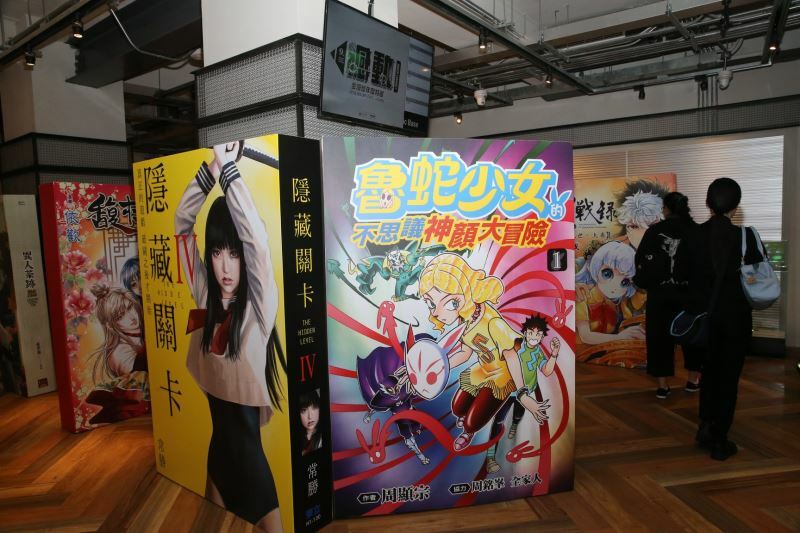 The Ministry of Culture has teamed up with Japanese comic fairs such as Kitakyushu Pop Culture Festival and Tokyo tradeshow COMITA to hold book meets for this year's award winners Chou Hsien-tsung (周顯宗), Cory (顆粒), Wei Tsong-cheng (韋宗成), and Ying Chang (英張). Their drawing demonstrations will also be streamed online. 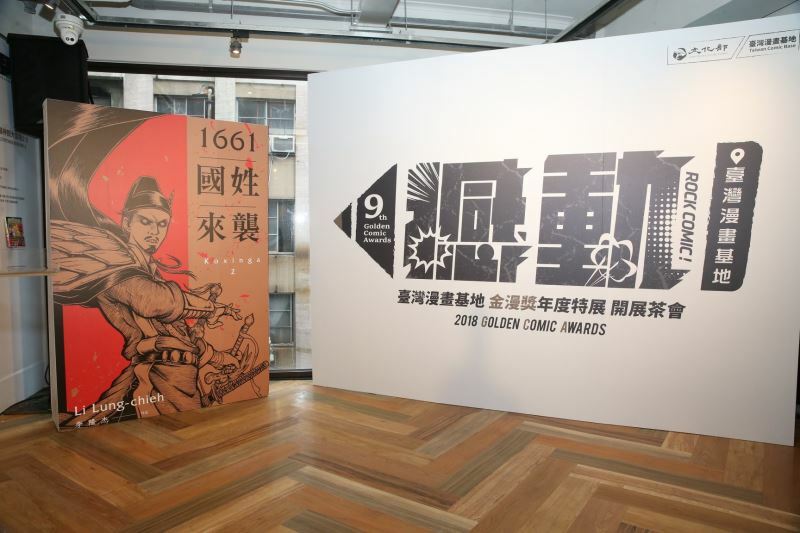 The exhibition's opening event will feature this year's special contribution awardee Tsai Kun-lin (蔡焜霖), a White Terror political victim who helped publish comic works despite the authoritarian environment in Taiwan from 1949 to 1987. 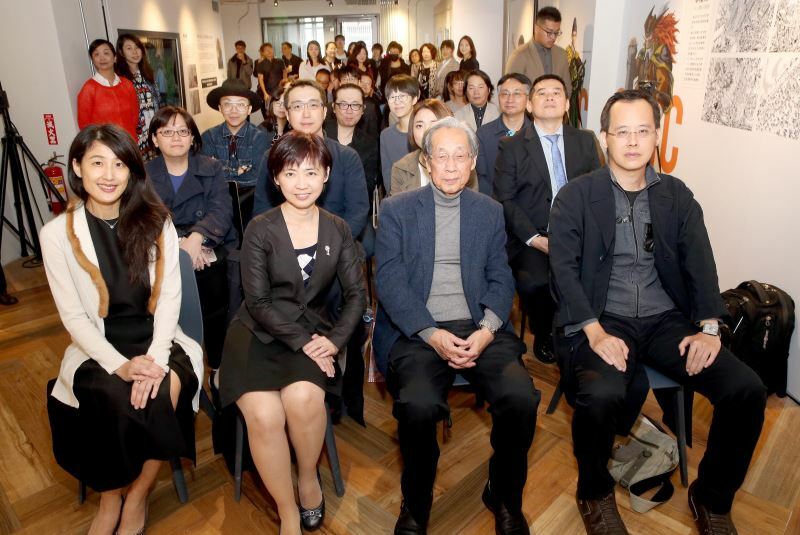 In spite of the suffering and obstacles he went through, Tsai never ceased to devote himself to cultural affairs. The "Rock Comic!" exhibition will be the first public event that will showcase the entirety of the building. 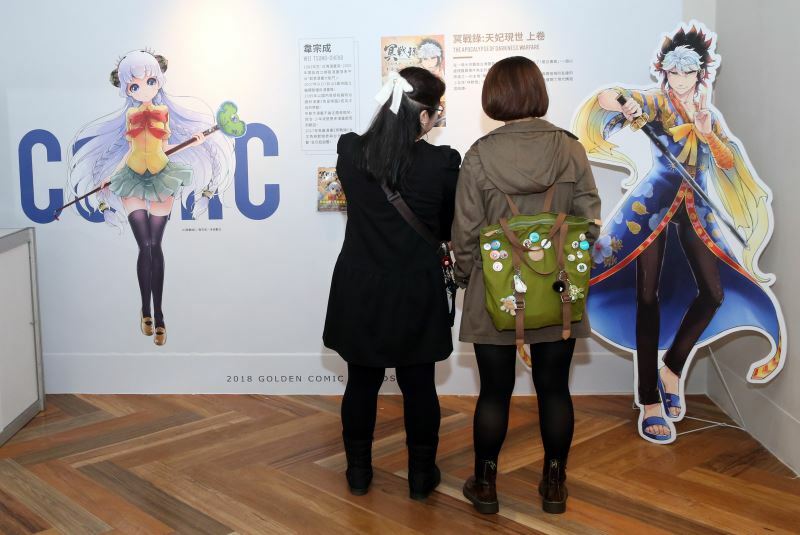 Taiwan Comic Base is scheduled to enter formal operations at the start of 2019. Visitors Today:77. All Time Visitors:1,229,884.